Filing for bankruptcy is a major financial decision, and one that should not be made without the advice of a knowledgeable and qualified bankruptcy attorney. It is important for consumers to remember that filing for bankruptcy filing can have a profound impact on any personal property, affect your ability to obtain financing, and mean significant changes to your credit history/ credit score for years to come. That being said, in many cases consumers find that filing for bankruptcy can be the fresh start they need to get back on their feet financially, and begin to enjoy a much less stressful life. While it is true that filing for bankruptcy can often be a step backwards in terms of your credit score, there are a number of ways that bankruptcy can help you begin a new journey on the road to financial freedom as well. One of the most important factors of bankruptcy law that it can give a financially distressed person the opportunity they need in order to make a new financial start. 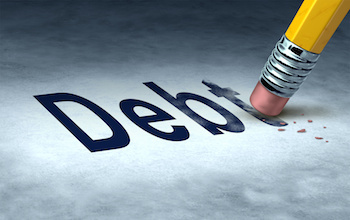 Filing bankruptcy typically results in the "discharge” of any debts that you include in your case, or the restructuring of said debts, making it so that no further legal action can ever be taken against you on those obligations as long as you comply with the terms. In essence, bankruptcy can give you a fresh start. In many cases, you might find that it is actually easier for you to obtain home or auto loans in just a couple of years after filing for bankruptcy, since creditors often consider the fact that you will not be able to refile again for a number of years, and therefore consider their loan to be more secure. Filing for bankruptcy can actually open up access to additional funds from your paycheck, helping you to stay on track with other monthly obligations, thus rebuilding your credit history. There are multiple bankruptcy options that are available for consumers, and each option is structured differently. Chapter 7 bankruptcy enables the consumer to discharge most types of debt completely, while still retaining ownership of non-secured items, while Chapter 13 bankruptcy completely restructures financial obligations in order to make them more affordable for the consumer. Speaking with an experienced bankruptcy attorney can help you decide which chapter, if any, will best suit your needs. Since Chapter 13 bankruptcy is actually a form of debt restructuring, filing can actually help you save your home or personal vehicle(s). While there are a number of locations where you can locate the paperwork and file bankruptcy yourself, due to changes in the laws that surround bankruptcy, and the complications that may arise, it is not in your best interest to file alone. If you are considering filing bankruptcy, it is wise to contact a seasoned, professional bankruptcy attorney to schedule a consultation.